Vision Zero is a Swedish approach to road safety based on the principle that no loss of life or serious injury is acceptable. Vision Zero recognises that people make mistakes and that the road environment must take account of this. The Swedish Parliament approved legislation establishing a Vision Zero approach in 1997. Since then, Vision Zero has been adopted in cities including New York, San Francisco, Portland, Boston and Chicago. London Mayor’s draft Transport Strategy accepts Vision Zero in principle and Transport for London will publish proposals in 2018. The most recent stats show that in 2015, 136 people were killed (of whom 55 percent were pedestrians or cyclists) and a further 1,956 were seriously injured (of whom 53 percent were pedestrians or cyclists) in Greater London. 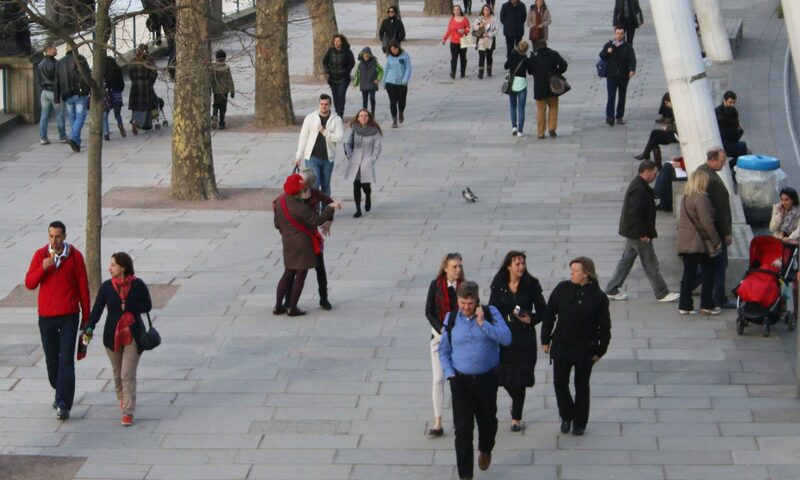 In Vision Zero for London, Twenty’s Plenty for Us, Living Streets and London Living Streets have outlined what a Vision Zero approach might look like in London. Vision Zero offers a way to organise all road safety activities into a single body of policy, activity, performance and promotion. It unifies the work of street design and enforcement; offers opportunities for TfL and the Metropolitan Police to work together more closely; brings groups and individuals together around a common objective; and creates consistency in terms of reporting, targets, branding and promotion. London-wide 24/7 road pricing that reflects the real costs of driving, helps reduce traffic volumes and creates an environment that supports walking and cycling. Liveable Neighbourhoods that reduce the opportunities for vehicles to cut through neighbourhoods. The design of streets is vital in reducing casualty levels. Designs should include engineering elements such as road capacity reduction; liveable neighbourhoods that use a system of ‘traffic cells’ that concentrate through-traffic on main roads; removal of the centre white line on main roads; or 2D speed cushions such as being trialled on the Transport for London Road Network. The maximum acceptable waiting time for pedestrians should be 30 seconds. The minimum crossing time must be based on a walking speed of 0.6m/sec. Staggered crossings should not be used. Use of Copenhagen/blended crossings that give greater priority to pedestrians. Vehicle speeds are at the heart of the Vision Zero approach to reducing road danger. A 2009 study by London School of Hygiene and Tropical Medicine for TfL found that where speeds are reduced to 20mph, casualties fall by more than two-fifths. The majority of borough-managed residential streets, high streets and town centres inside the North and South Circular are now subject to a 20mph speed limit. TfL also has 20mph limits on the Red Route network (TLRN) in a large number of locations in Central London. This shows that a more coherent 20mph policy, covering both borough and TfL roads, is becoming possible. TfL now requires all new buses to have Intelligent Speed Assistance (ISA) technology fitted, which limits the speed at which buses are able to travel. In a 2016 Transport Research Laboratory trial, buses fitted with ISA remained within the speed limit 97-99 per cent of the time, proving its effectiveness. To be effective in London, ISA should be extended to cover all vehicles over which TfL has a duty of care including taxis, private hire vehicles, goods vehicles and delivery vans. In relation to air quality, TfL is proposing to stipulate standards for new vehicles operating in London. The arguments appear strong for TfL to create a similar a regulatory framework for the commercial operation of vehicles in terms of how they comply with speed limits. For Vision Zero to be effective, TfL needs to set out the long term guidelines for mandatory adherence to speed limits. Improvements to lorry design such as the Mayor’s proposals for Direct Vision cabs are essential to reduce danger to pedestrians and cyclists. It is also important for road safety in London that the UK government ensures autonomous vehicles have mandatory compliance with the speed limit. Wider use of camera enforcement can support Vision Zero policies. TfL research has found an average 58% fall in the number of people killed or seriously injured (KSI) where safety cameras operate in London. Red light cameras should be used more widely at locations in London where there are known to be problems with casualties, speeding and intimidation of those walking and cycling. Average speed cameras are also extremely effective in increasing compliance with speed limits. The focus to date has been exclusively on multi-lane arterial roads. But it would also be valuable to undertake trials in locations with both 30mph and 20mph speed limits, possibly on problematic streets. Bridges across the Thames could also be ideal locations. The Community Roadwatch initiative is welcome since it encourages TfL, the Metropolitan Police and local communities to work together. 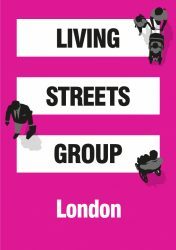 The scheme is being rolled out to all 33 London boroughs but we would like to see an overview of the scheme to show uptake across London; how streets are selected; and the numbers of letters issued to registered vehicle owners. We suggest an enhanced programme of enforcement particularly in relation to mobile phones being used by drivers; speeding; intimidation by drivers of other road users; and uninsured driving. Enforcement must have a more joined-up approach and focus on violations which have the greatest impact on collisions. San Francisco, for example, uses collision data to focus on violations including running red lights and stop signs, speeding, failure to yield while turning and cell phone usage. San Francisco also includes parking violations in its Vision Zero policy including double parking, blocking bicycle lanes, blocking sidewalks, and intersection gridlock. San Francisco also publishes concise monthly statistics that demonstrate the volume of enforcement . This is also broken down by geographical area to ensure that the appropriate resources are being given to each locality. Understanding the lessons from serious collisions can also support the aims of Vision Zero. Resources are needed to ensure that collision investigation becomes a priority for the Metropolitan Police. It is important for officers to believe that their recommendations will be implemented. TfL is committed to improving bus and lorry collision investigations, and this should be extended to all fatal and serious injury collision investigations. The Metropolitan Police does not report the outcomes of their collision investigations, even for fatal collisions. Thus it is not possible to know how often drivers are prosecuted or convicted for killing or injuring pedestrians including fatal hit and runs. Improved reporting is required on an annual or six-monthly basis. Great care is needed to guard against victim blaming in investigations of pedestrian and cyclist casualties.